In Dutch oven or roasting pan, cook and stir mushrooms (with liquid) in butter until heated through. 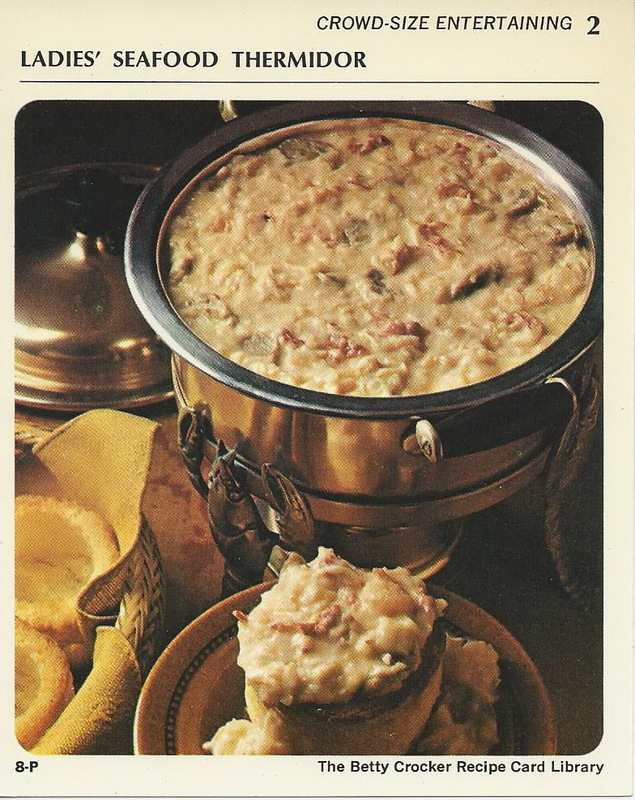 Stir in remaining ingredients except sherry and croustades. Heat to boiling, stirring constantly. Stir in sherry. Serve over croustades. 12 servings. Heat oven to 375°. Cut 3 unsliced loaves sandwich bread into 2-inch slices. With cookie cutter or cardboard pattern, cut slices into rounds. Cut out center of each round, leaving 1/2 inch thick wall on bottom and sides. Brush tops and sides or rounds with melted butter or margarine. Bake on ungreased baking sheet 12-15 minutes or until golden. About 15 croustades. Why is this for ladies only? Looks like its a punishment for the ladies over in the women’s prison.